I have done quite a bit of shopping over the past few days. Guess what? 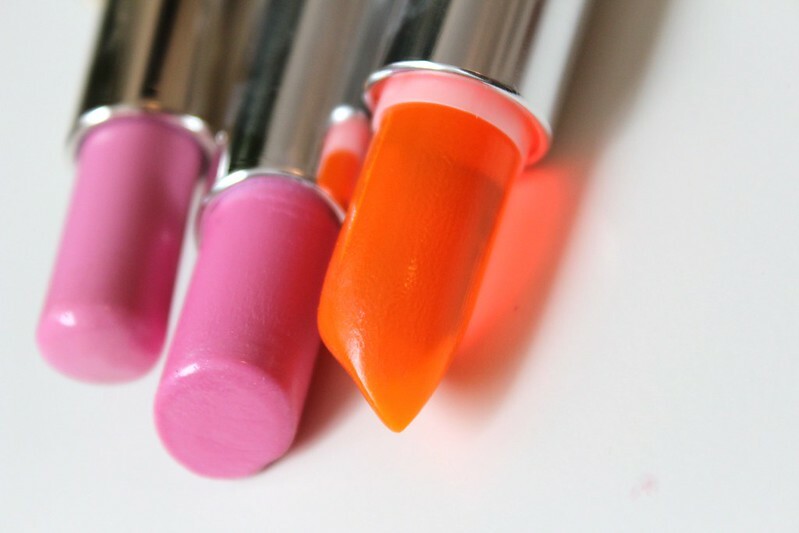 I got 3 more lipsticks via 'back to Mac' and they are all different shades of pink. I will share posts about them later. Right now I want to talk about 'Baby Gap', well, it's on sale and if you want some of the good stuff, I suggest you get there as soon as possible, before I snap everything up! Here's a few things for Esra, she has been lucky as both grandmothers are spoiling her and of course me too. I just can't resist, I went crazy shopping for Esra even before she was born as you all know. Now I have to make hairbands to match all of these outfits, woo! Did you grab anything in the Gap sale? I did a quick causal visit to Superdrug yesterday, and I walked away with 3 new lippies (as you do) as they were on offer for 3 for 2... Always a good reason. Citrus Slice - This popstick is VERY sheer, it smells fruity and feels just like a lip balm on the lips. To be honest I didn't need this but the scent was just too nice to resist as was the glowing orange. Fashionista Pink - This pale pink is SO glossy and also quite sheer, it does deposit a small amount of colour which does make a difference to the lips. It's a very easy daytime shade to wear but doesn't last that long on the lips but, I don't mind reapplying as the texture is just so smooth. It reminds me a little of Smashbox 'Pout' lipgloss which I love. Cupcake: A cool toned pink, quite pigmented and has a glossy finish. I don't need to say anymore I love these lip butters! 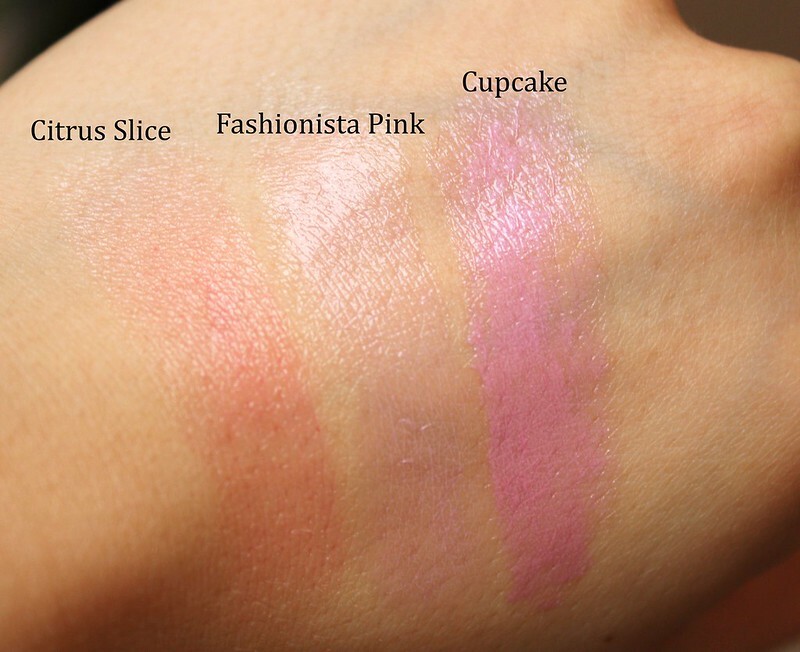 Here they are swatched on the lips! 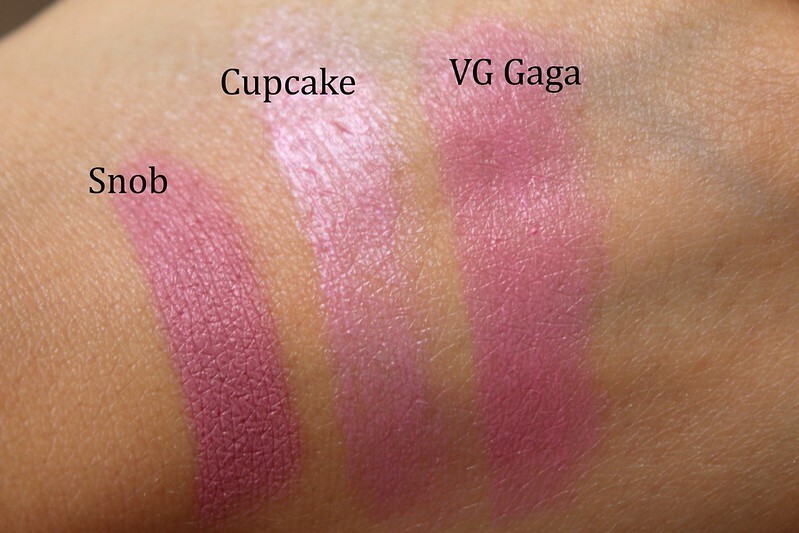 'Cupcake' is such a lovely shade to wear, initially the cool tone of it reminded me of 'Viva Glam Gaga' and Mac 'Snob' lipsticks but it's paler and glossier, much nicer in my opinion. 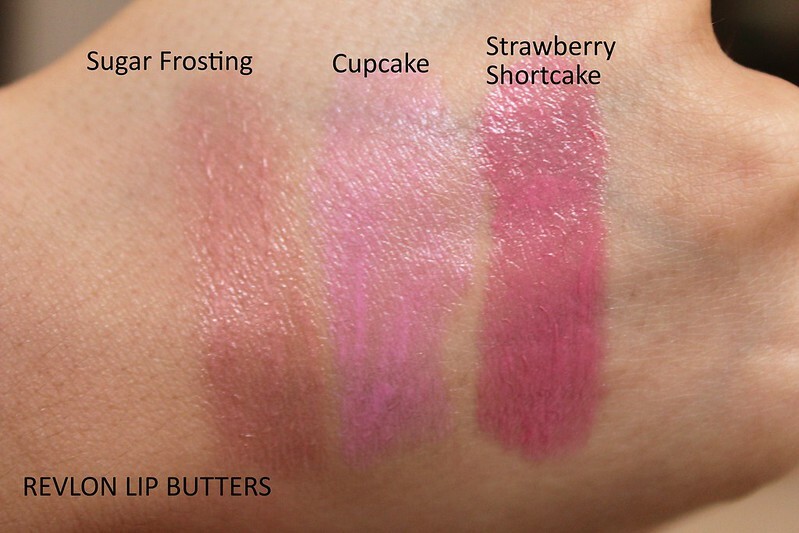 Also, if you like Mac 'Morning Glory' lustre glass you will definitely love 'Cupcake'. 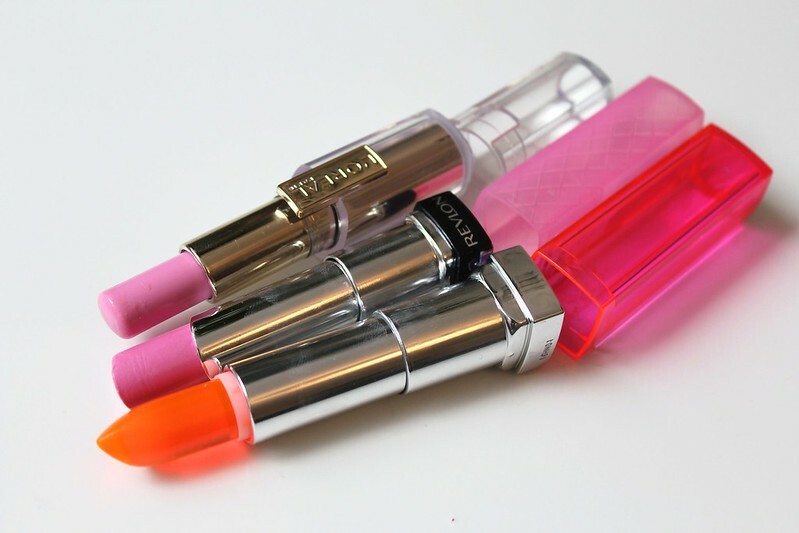 Did you pick up any new lipsticks? 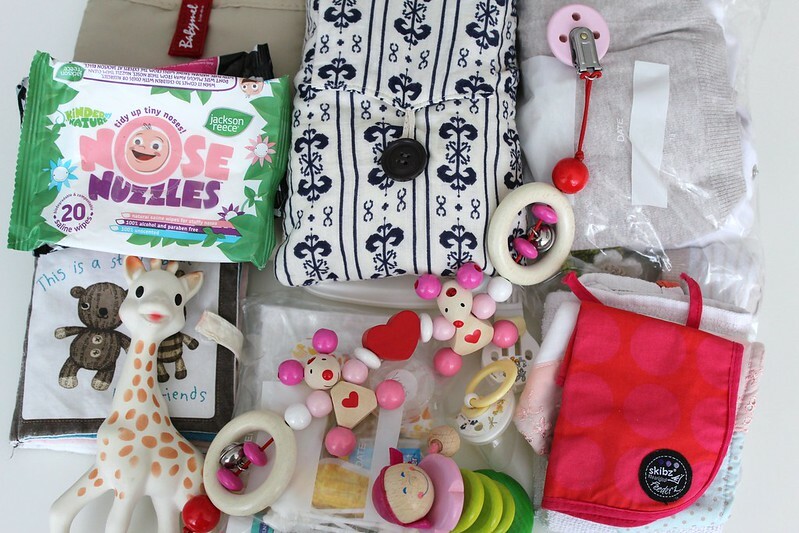 What's in my 'baby' bag? As a mother of an 8 month old (yes she's 8 months already!) 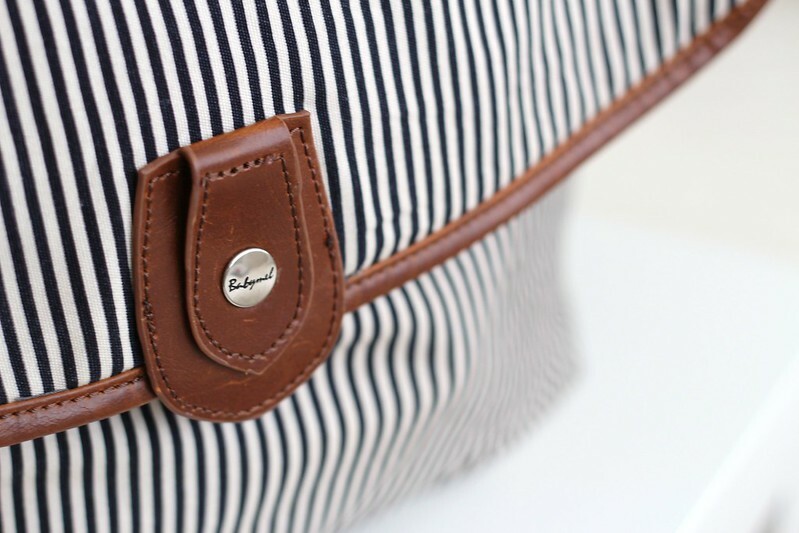 I have a lot to carry around with me, the bag I am currently using is the 'Navy stripe' Satchel bag from Babymel which I purchased from John Lewis. It's lightweight, slouchy and perfect for Summer. It has two main compartments, one for baby and one for me. 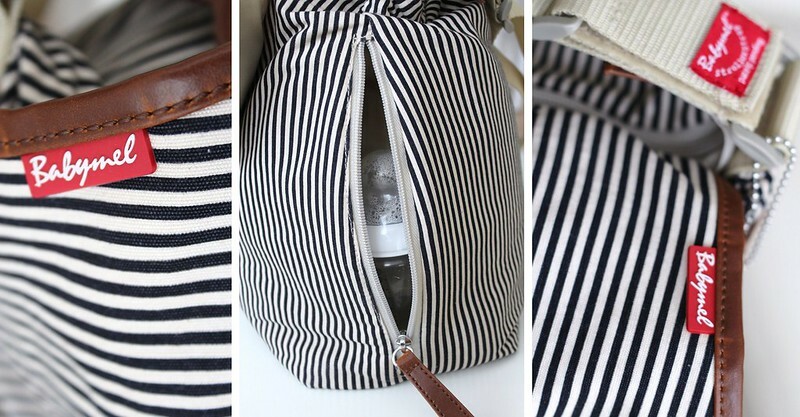 It also has a small insulated side pocket for placing a bottle or snacks. It has velcro straps that attaches to your stroller all for only £40. 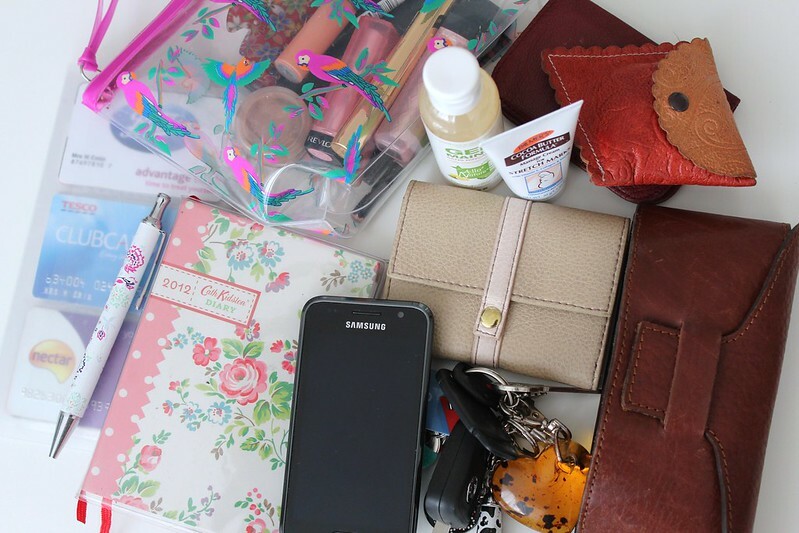 It houses my phone, keys, purse, business card holder (holds all of my cards, coupons etc), diary, headphones in leather pouch, glasses, oyster card holder, hand gel, hand cream, pen and a makeup bag. 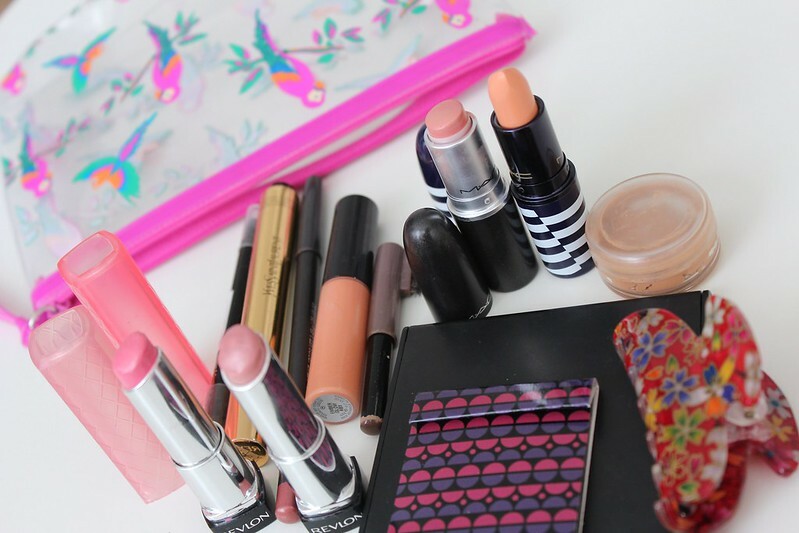 Here's what's inside my makeup bag at the moment. Here's what's inside the zip compartment which is for baby. 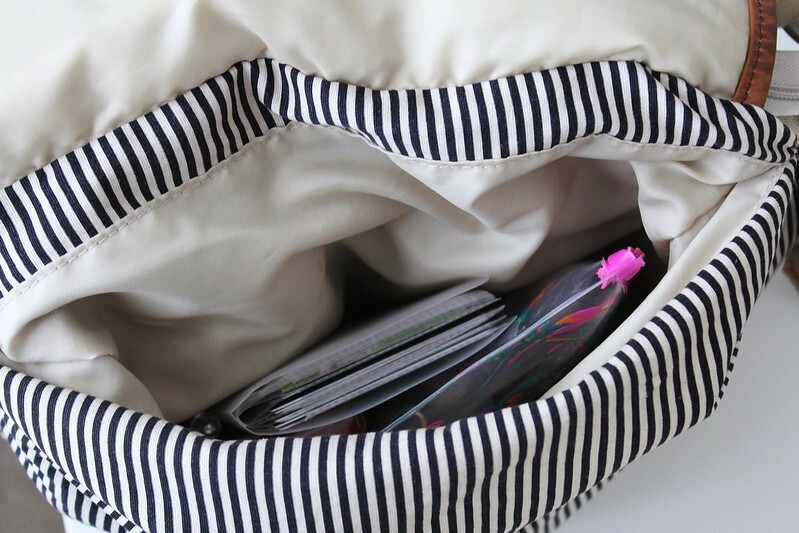 It has 2 elasticated pockets and a divider. 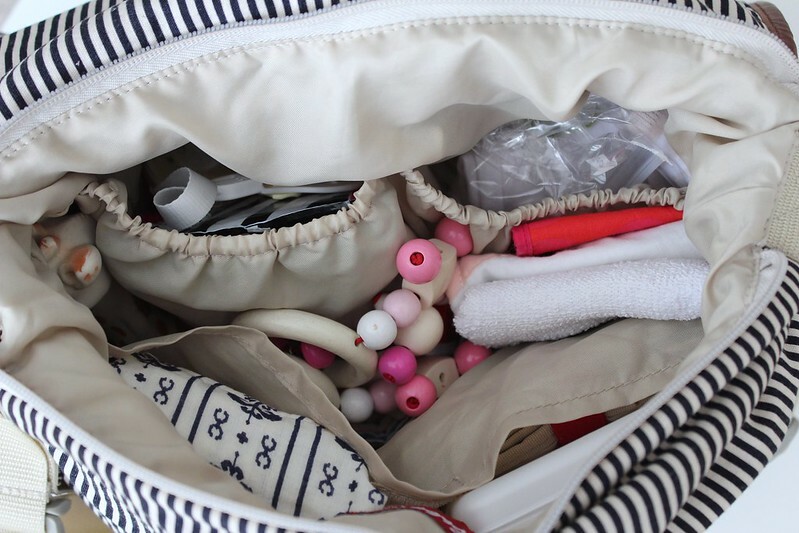 Changing mat, Nappies, nappy bags, cream, baby wipes, nose wipes, antibacterial wipes, change of clothes + cardigan & socks, 3 bibs, muslin, dummy, toys and a first aid kit which includes essentials like baby sun cream, medicine, cotton buds, lotion etc. 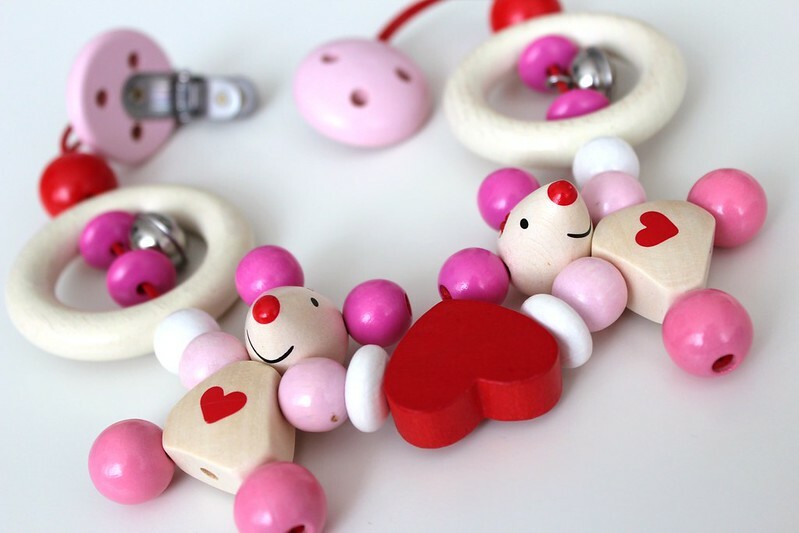 I love this wooden pram chain by Heimess, it's SO cute and clips on either end of the hood of my bugaboo. It entertains Esra with it's jingling bells when she tugs at it and she also uses it for teething. I got mine for £18.50 from a baby boutique. I will also place a blanket in the bag if it's chilly outside, and add more or less clothing depending on my trip. If I'm going to be out all day I use the insulated Skip Hop (Bee) 'Zoo lunchie' bag for Esra's food which clips easily onto the stroller and is so convenient. 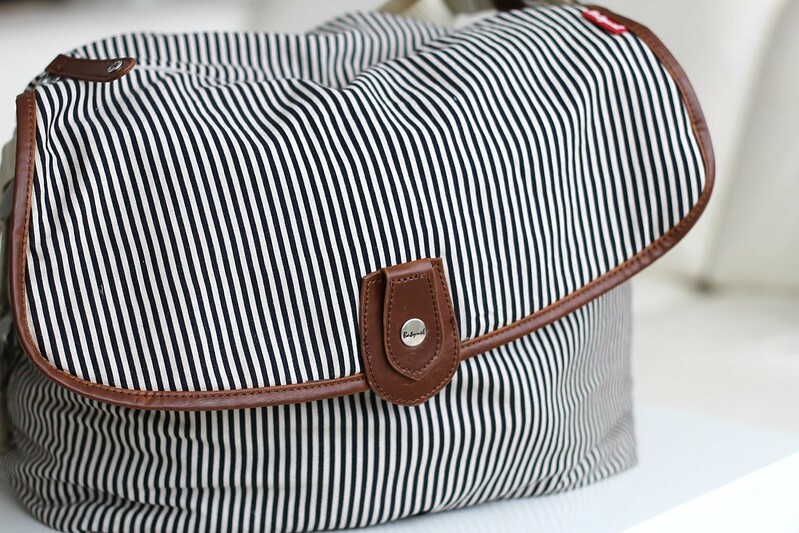 I have 2 other baby bags which I love, one is the Skip Hop Studio in Plum burst and the other is the duo double in black which is VERY large as it's for twins haha, but perfect for travelling. What's inside your bag? 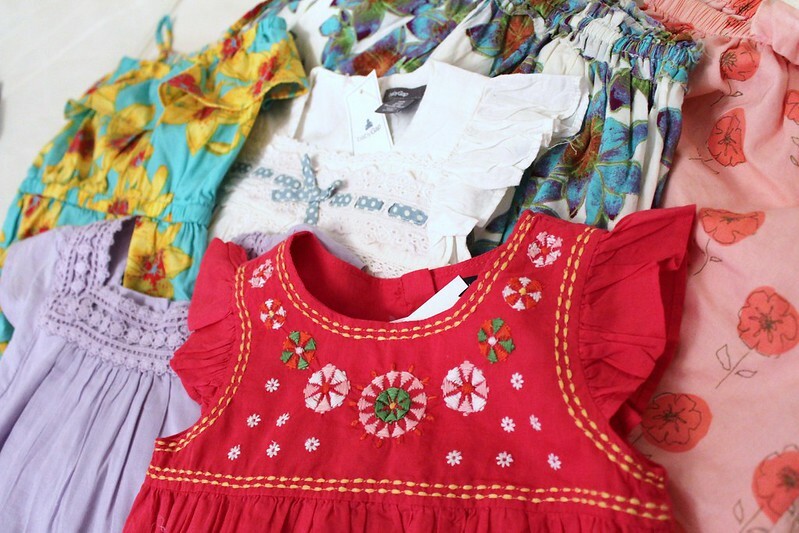 And, do you have any tips for packing with a little one?